I'm Joe. People used to ask me why I have a home page. People don't ask anymore, so I don't tell them. Click here to send mail to me addressed to jlea@nyx.net. Some links to try out. I work in Manufacturing Engineering at Gulfstream Aerospace Corp in Savannah, Ga. The GV received the 1997 Collier Award and is clearly the best! CODERS.ZIP [94k] - a package of three commonly used code / decode packages (UU, Base64, Binhex) with brief instructions. You'll need PKUNZIP to extract the .zip files here. You can download this from the PKWARE(R) homepage. I use the DOS version (pkz204g.exe - it's on the Download link off Pkware's main page) because it works with both DOS and Windows. Here's my Look, Ma, No Mouse page of keyboard shortcuts. Here's a file someone wanted a copy of. Click to download MPACK.ZIP. I leave it here so I can change the file name when someone wants a different file. That way I don't have to recode this part of my page. 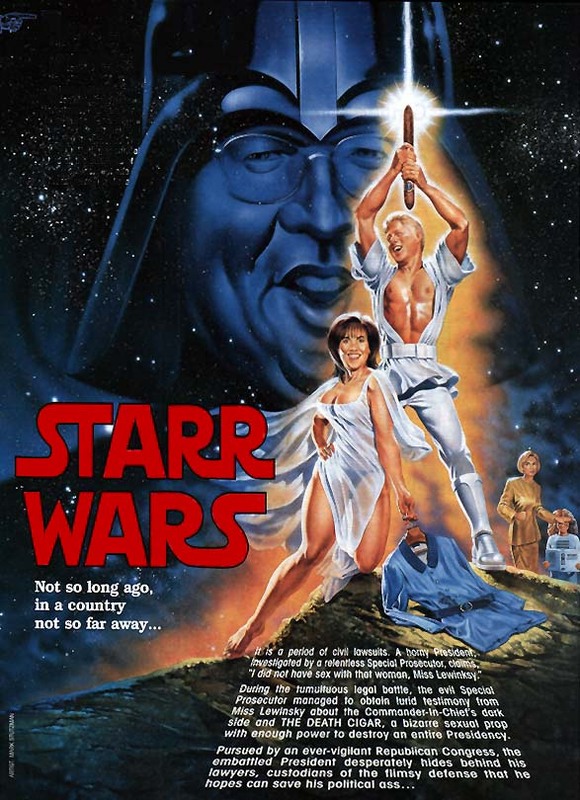 I have no idea who did this Starr Wars picture, but it's pretty funny. This page last updated 011099. Come back again sometime! According to the Web Counter, you are visitor number since May 31, 1996, but who really cares?